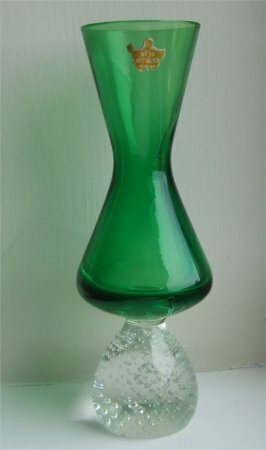 This vase is approximately 152mm (6") tall . 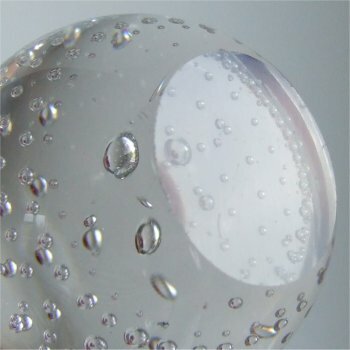 The stem has a wide flare aproximately 29mm (approximately 1&1/5"). 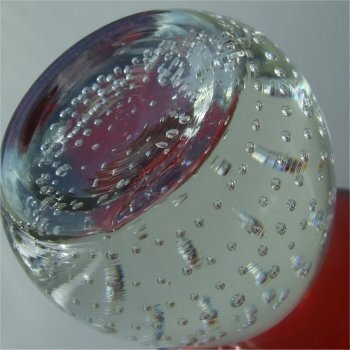 The base is round with small bubbles which go horizontally around the ball and the bottom is ground and polished flat. 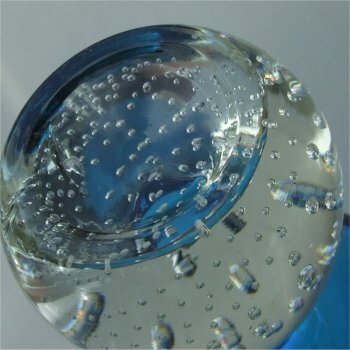 The label is in the shape of a shield. 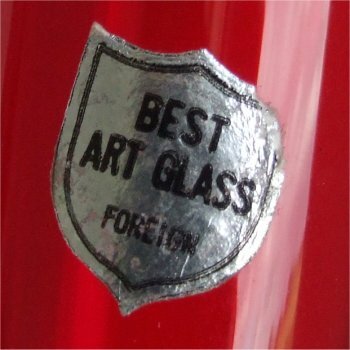 The background is metalic silver with with the words "BEST ART GLASS FOREIGN" in black, (see close up image). 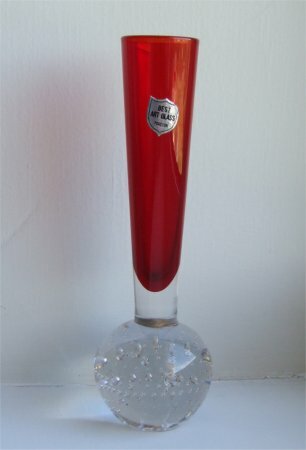 I believe this vase was made in Japan (see also information on Sonsco). 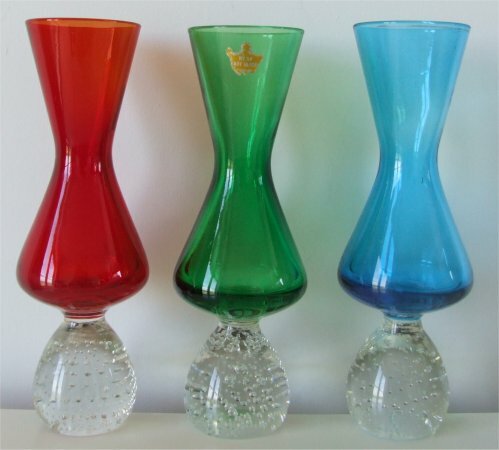 The picture below shows almost identical vases in red and blue, (alongside the green one for comparison) however the bottom of their bases are not ground and polished flat, but have slightly concave bases with a tiny circle in the centre and a ring around the edge (see images below). 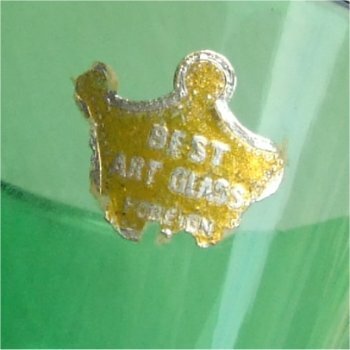 It is possible these may not have been made for Best Art Glass, or that they were made some time apart when processes had changed, but my guess would be that they were made at the same glassworks. 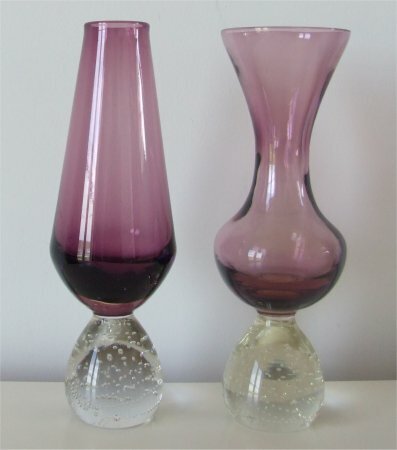 This image shows two vases with the same type of base but with different stems. 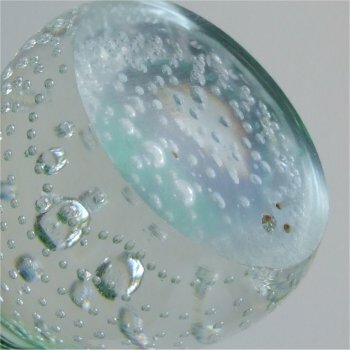 The bottom of their bases are the same as the blue and red vases above with slightly concave bases with ring around the edge.